Julie Nutting Designs: ThAnK yOu!! 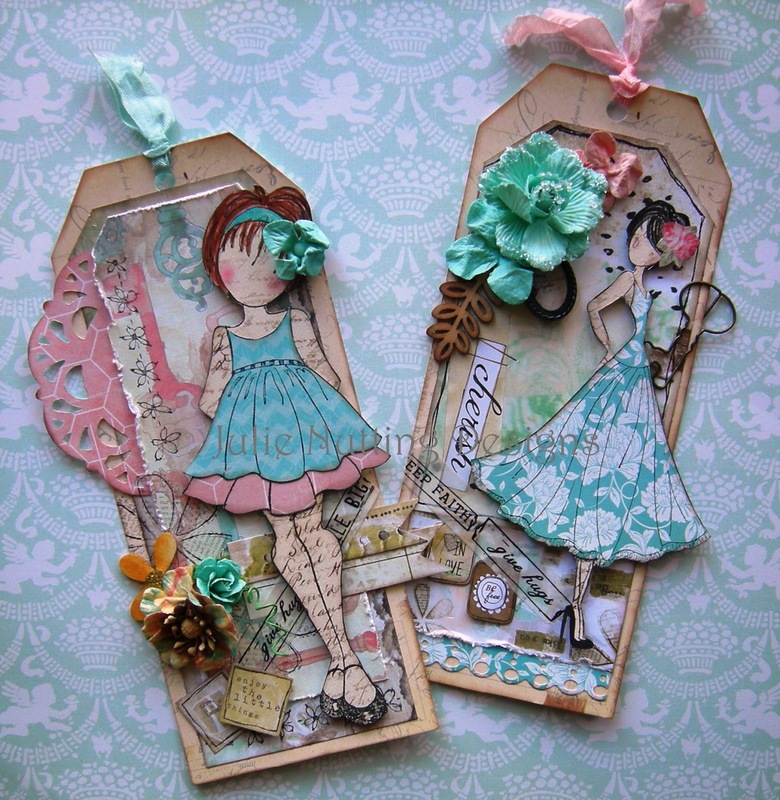 Well, I must say...I am overwhelmed by the response to my stamp line from Prima. Almost sold out immediately and then selling out once they hit the stores. A BIG THANK YOU to all of you! This has been a crazy journey for me and certainly something I never expected. Stores that have reordered are expected to receive them in April. I'm working on a new line that will have some fun elements and extra surprises. There's lots of upcoming classes planned, some in new locations. I have some big things in the works. Nothing set in stone but looking at maybe, I don't know....a cruise! Maybe some classes far, far away? We'll see. Just finished all the art for my next book and am looking forward to the photo shoot in Cincinnati next month. I promise much cuteness, better than the first and very different! As we get closer to the release date, May of next year, I will show some sneak peeks. I know...it's a long ways off, but will be worth it! Thank you again for all your support and I love to see pictures of what you're creating with the stamps. Please send!! Oh yes, I have hunted all over the "net" for these, but they are gone~gone~gone!! I was lucky enough to get one of the little girl ones and the block...I have signed up at 2 places for the others...I LOVE these girlies!! Julie: I'm dying here.....no one has these stamps. They say they are "coming" but I can't stand waiting! I love the line and can't wait to get my hands on them. Congratulations on such a big hit! I'm really excited to hear there will be more too and I've just had a fabulous creative session with some of the stamps having been so inspired by your beautiful book. I'm on the Design Team for That's Crafty, an online shop in the UK which I think is the only UK stockist at the moment so I'm really lucky! Julie, I am so EXCITED for you and to see the new jewels you are creating. I know the new book is going to fly off the shelves just like your doll stamps! All your hard work is definitely paying off and all the success is well deserved! I want one of your lovely doll stamps so bad! They are no where in Nebraska that I can find and sold out online! Wow! So many great ideas and fun techniques out there. I ordered you great book "Collage Couture" on Amazon.com for my granddaughter just two days ago. I'm thrilled to find your blog. She's 15 and I'm 71 and we both will enjoy your art. I'm going to look for you stamps as well, they have a definite charm and whimsy. Your Doll Stamps are awesome! Can't wait to get my hands on them!!! Just love your Doll stamps, I have become addicted to them.